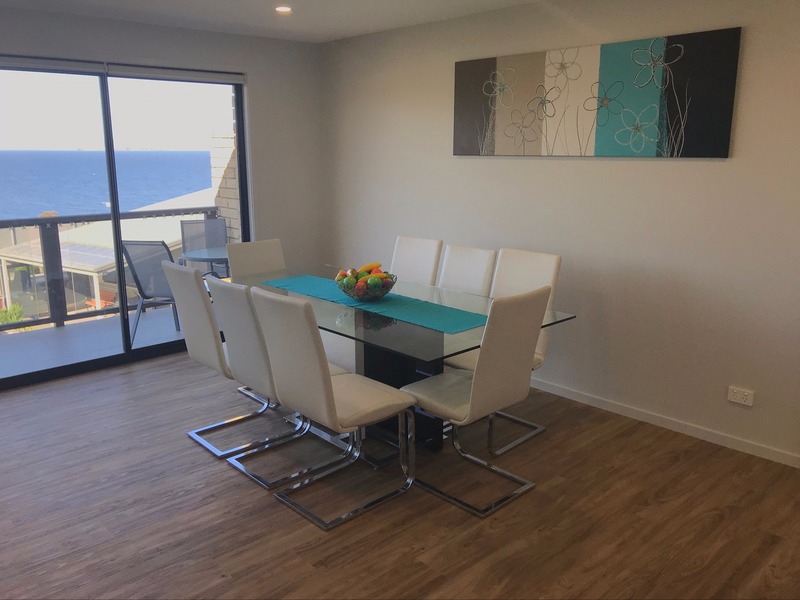 Relax and enjoy a superbly furnished 3 bedroom apartment above Blackman’s Bay beach, less than 20 minutes south of Hobart’s CBD. With 2 queen beds, 2 singles and a fold out bed, the apartment can accommodate up to 8 guests. A separate portacot and high chair are also available. There are 2 bathrooms, one with a freestanding bath and double shower. The two living areas both have large flat screen TVs, and DVD players. Full kitchen and laundry facilities are available. Enjoy water views from the upstairs deck, or have a BBQ downstairs while the kids play in the private backyard. A great place for the family to relax with just a short walk to the quiet Blackmans Bay beach, and an excellent location to see all the sights of Hobart and Southern Tasmania.